When I saw footage of people skiing in Antarctica it became a vision entrenched in my psyche. I vowed that someday I would find a way to visit the frozen continent, and my skis would be along for the journey. 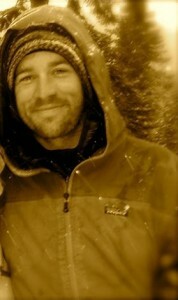 Review by Brennan Lagasse - Writer, skier, photographer, educator and adventurer. Chances are he's been there! I am completely focused, locked into that pure, fully present moment that is a byproduct of skiing down a snowy mountain. Even though I’ve felt this way thousands of times before, this time things are different. This particular run is like no other I have ever experienced. The slope is moderate in angle, but steep enough to warrant controlled turns, especially since the end of the line is quite literally the Southern Ocean. Bright blue seracs soar above me to my right, while sea-ice and gigantic icebergs comprise my horizon for as far as my eyes can see. The snow is cold and chalky. Dependable. I make my last turn inches from the waves crashing on shore from an incoming tide. Then I glance over my shoulder. Two Gentoo penguins are standing on a chunk of ice checking me out, unfazed. There is nowhere in the world that compares to the uniqueness of skiing in Antarctica. When I was a boy it was always documentaries about the Antarctic that captured my imagination the most. Growing up in mountain communities all of my life, those mountains invoked a sense of adventure, the surreal. Fast-forward to 2008. While the dream was still very much alive, the best way I could dream up to get to Antarctica was to travel to Ushuaia, Argentina, and try to hop aboard a cruise as a deckhand on a last minute itinerary. And then I met Douglas Stoup. I fell in love with Antarctica in 1999. The very first moment I set foot on Antarctica it was a love affair and I wanted to continue and explore more. I was attempting to be the first to climb and snowboard the highest peak the Vinson Massif (16,077 ft.). I returned two months later to explore and pioneer ski descents on the Antarctic Peninsula. It was a very different environment with millions of penguins, thousands of seals, and hundreds of whales. I have continued to explore the last frontier for 21 years. It took a few years, but in 2009, Douglas’ company, Ice Axe Expeditions, began taking about 100 or so intrepid skiers from around the world to ski and experience what many consider to be one of the most “out there” adventures on the planet. 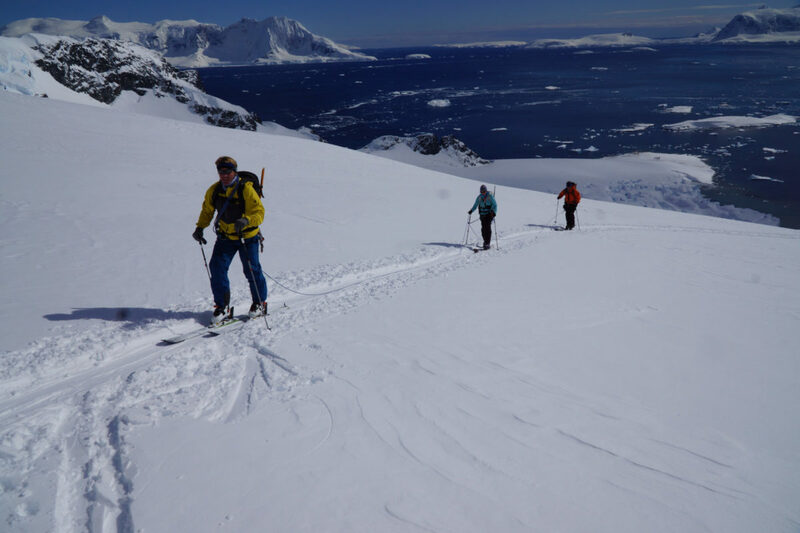 Having connected with Doug about his past experiences in the area I was able to join him and Ice Axe for the inaugural Antarctic Ski Cruise that continues to this day. What Douglas and Ice Axe Expeditions have done is eliminate all the impossible seeming logistics that come with Antarctic travel, making it attainable and doable for the greater skiing public. A typical day in Antarctica is framed by support from a world-class group of ski guides who take guests from the main cruise boat to the continent and neighboring islands for daily ski excursions. We start the expedition skiing and training for a few days in Ushuaia, Argentina, and then board our vessel for the infamous crossing of the Drake Passage before arriving in the Antarctic and beginning our ski safari. This past fall, I was very happy to guide an amazing film crew who were working on a multi-tiered project spotlighting an Olympic athlete’s evolution from competition to wild mountain travel while emphasizing the importance of protecting these critical alpine places. In the past, however, I’ve guided many guests who are actually more moderate level backcountry skiers. I mention this because this trip is like no other, and whether you are a professional athlete, or a blue-square skier, Antarctica is for anyone who wants to make their dreams become reality. The diversity of terrain can accommodate most levels of skiers, and at the end of the day, this adventure is about much more than skiing – even though we go skiing every day we possibly can and love every second of it! As a ski guide, I’ve had the fortune of working in remote, wild places across the world for many years. Each trip back to Antarctica with Ice Axe is just as special as the first. The guides I work with are some of the greatest mountain people I have ever had the privilege of working with, and they too take nothing for granted on each trip. We all know how much it takes to make this trip a reality, and while the price tag is not that easy to stomach for many, we have never had one guest ever mention the cost of the trip as a burden after all is said and done. Most, even those who have saved their pennies for years to make this trip happen, have told us the value is far beyond anything they could have expected; it’s an unmatched experience where the value far exceeds the cost. Antarctica is not as out of reach as you may think! Skiing in Antarctica is a dream come true for many. When you factor in the level of guides, overall Ice Axe programming, and of course the place itself, the trip is elevated in a way that makes it stand alone. It may seem impossible to get to Antarctica, let alone ski it, but I am here to tell you it is possible, it is real. It is in fact one of the greatest ski trips available in the world, and if you’re one of those dreamers like I was many years ago, check out our program and be in touch. You can make it happen, and we’d love to welcome you aboard our next ski cruise. The penguins will be waiting for you! Writer, skier, photographer, educator and adventurer. Chances are he's been there!